Abortion advocates claim there is a war on women in the United States. They oppose laws requiring abortion facilities to be held to the same standards as other medical facilities, and consider parental notification laws and waiting periods assaults on reproductive rights. Furthermore, any limitation on when a women can obtain an abortion is also decried by abortion supporters. But is the United States overly strict on abortion, or are we too permissive? While individual states may have stricter — or more permissive — abortion laws, the United States is one of a small handful of countries to allow late-term abortions. Only four countries, two of which are China and North Korea, allow abortions up until birth. Most countries understand that there is no reason to allow a woman to abort a preborn baby after 20 weeks of pregnancy, as do a majority of Americans. Many Americans also support parental notification laws, waiting periods, and multiple other restrictions, including the partial birth abortion ban, counseling before abortion, and telling women about alternatives to abortion before undergoing the procedure. Yet none of these restrictions are in place nationwide. Despite being favored by many Americans, these laws are only being enforced in select states. However, abortion advocates still think that abortion laws in the United States are too strict. Conversely, in Europe, abortion is much more restricted. Waiting periods are commonplace in multiple countries; abortion is frequently banned after 12 weeks. While some places, like the United Kingdom, allow abortions past the first trimester, late-term abortions are almost universally banned. There are countries that require women to even tell authorities why they want to have an abortion before the procedure can be approved; others require mandatory counseling beforehand. 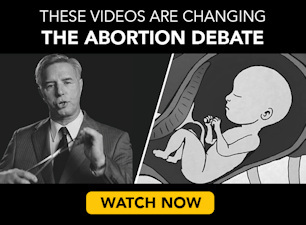 Looking at America’s abortion laws versus those in the rest of the world, it becomes overwhelmingly clear: America’s laws are extreme, but not in the way that abortion advocates believe. They’re permissive to the extreme, allowing abortion far longer than the rest of the world does, and without nearly as many restrictions. So abortion advocates should not be asking themselves why abortion is so restricted, but why the rest of the world understands that abortion shouldn’t be a free-for-all.